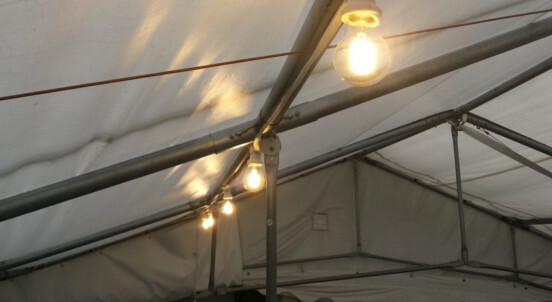 Our white LED festoon lighting is designed to be easy to fit in to any DIY Marquee. Each string of festoons comes with 10 x LED bulbs. If you wish to use the White LED festoons with a 2m wide walkway or 3m wide marquee please select from the options below 10 x 2w LED bulbs will be included. If you wish to use the festoons with a 4m or 6m wide marquee please select from the options below 10 x 6w LED bulbs will be included. If you wish to use these festoons with marquee linings please contact us to discuss.